The Golden Dawn system of magick is known throughout the world as one of the most effective and comprehensive approaches to working with occult powers. But for beginners or intermediate practitioners, it can be difficult to know where to start and where to go for expert guidance. Golden Dawn Magic shares bite-sized exercises and meditations to help you build the skills that are needed for more advanced rituals, guiding beginner and intermediate practitioners on a powerful journey of magickal work. 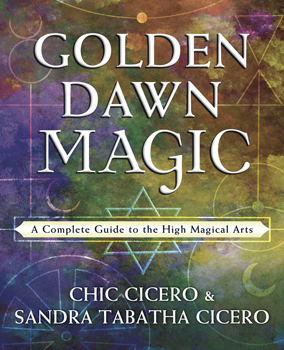 Chic and Sandra Tabatha Cicero, Chief Adepts of the Golden Dawn, provide a firm foundation in practical Golden Dawn theory and methods, without the complex lessons and grades of more traditional approaches.